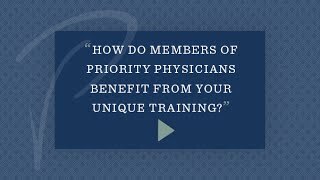 96% of our Members renewed their Memberships with Priority Physicians this year. Dr. Fraser is board certified in internal medicine. She attended Yale University where she received her degree in philosophy, as well as her doctor of medicine degree. Dr. Fraser completed her internship and residency in Internal Medicine at the University of Washington, and served as Chief Medical Resident at the VA Puget Sound Health Care System. She also completed a fellowship in Internal Medicine at the Regenstrief Institute of the IU School of Medicine. 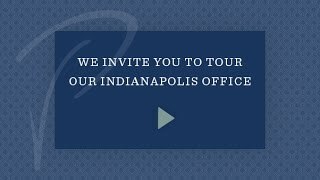 Dr. Fraser has proudly practiced direct primary care medicine in Indiana for more than a decade, and lives in Indianapolis with her husband, Dr. Stephen Fraser, and their three children. Apart from spending time with her family, Dr. Fraser enjoys reading, running, and involvement with local community programs. 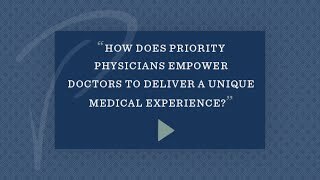 Watch the videos below to hear about the benefits of private medicine and concierge doctors from Dr. Fraser. Dr. Szewczyk is board certified in family medicine. She received her undergraduate degree in Medical Technology from Purdue University with a year of training in the St. Francis School of Medical Technology. She completed her doctor of medicine degree at Indiana University in 2001 and continued her training in family medicine at St. Vincent Hospital in Indianapolis. Dr. Szewczyk went on to practice with the St. Vincent Physician Network until 2010, when her personal and professional convictions brought her to Priority Physicians and the world of concierge medicine. “Practicing in this model has allowed me to find the joy in medicine again,” says Dr. Szewczyk. She and her husband live with their three children in Westfield, where she is active with hobbies ranging from photography to travel and personal fitness. 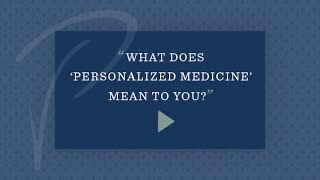 Watch the videos below to learm more about personalized medicine from Dr. Szewczyk. Dr. Jonathan P. Schmidt is a board certified physician in family medicine. He received his undergraduate degree in Microbiology from Southern Illinois University and went on to the University of Illinois where he received his doctor of medicine degree. Upon graduation, Dr. Schmidt moved to South Bend, IN, where he completed his family medicine residency at the St. Joseph Regional Medical Center, serving as Chief Resident in his final year. Dr. Schmidt sought out experience in direct practice medicine during his residency and is excited to be practicing in a way that allows him to put the needs of his patients first. In his free time, Dr. Schmidt enjoys spending time with his wife Cristal and their three children Kiptyn, Kenley and Kutler. He also enjoys being outdoors, participating in water sport activities and woodworking. 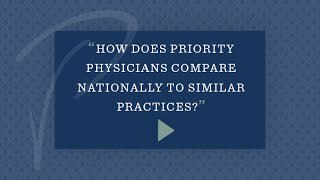 Watch the videos below to hear more about the difference between direct primary care and conventional medicine from Dr. Schmidt. Dr. Morris is board certified in family medicine. She is proud to have attended DePauw University, where she received her degree in Biological Sciences. Dr. Morris went on to earn her doctor of medicine at Loyola University Stritch School of Medicine in 2001, and completed her family medicine residency at Ball Memorial, where she served as Chief Resident in her final year. Dr. Morris enjoyed her practice with the Franciscan Physician Network in West Lafayette, IN, for 11 years before relocating with her husband, Brian, to join Priority Physicians in opening an office in Fishers, IN. She is excited by the opportunities a concierge medical practice offers to focus on proactive patient care and on fully-developed patient relationships as she joins our team. In her free time, Amanda enjoys spending time with her family, cooking, skiing, and personal fitness. Watch the videos below to hear about the benefits of private medicine from Dr. Morris. Dr. Morris is board certified in family medicine. He received his undergraduate degree in Human Biology at Stanford University and went on to receive his doctor of medicine degree at Loyola University Stritch School of Medicine in Chicago. After graduating from Ball Memorial Family Medicine Residency, he completed his primary care sports medicine fellowship at Utah Valley Regional Medical Center. Dr. Morris had a busy sports and family medicine practice in West Lafayette, IN, with the Franciscan Physician Network for 11 years prior to joining Priority Physicians with his wife, Amanda. He enjoys helping patients achieve their health and fitness goals in addition to practicing general family medicine. Outside of the office, Brian likes to spend time with his family, doing woodworking and participating in triathlons and running events. 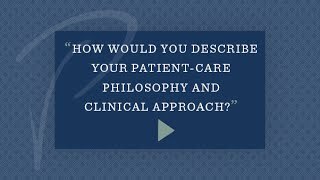 Watch the videos below to get to know Dr. Morris and his approach to direct primary care. Preventive medicine. Timely access. Improved outcomes. A trusted physician who knows and cares about you. At Priority Physicians it is our mission to help our members create and maintain an ideal state of health and wellness. Our vision of patient-focused healthcare is founded upon our core values of honesty, integrity, dedication to the individual, exceptional service, and professional excellence. 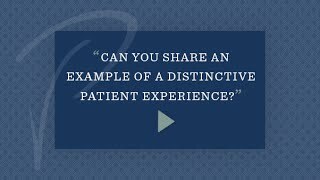 With every encounter we strive to exceed our members’ expectations for both the quality and the convenience of their personal healthcare experience. Priority Physicians is pleased to offer a variety of concierge service options for the convenience of our patients. Members of our practice may select our comprehensive executive annual exam as an a la carte item, or they may choose to combine their exam with the benefits of a full practice membership. Our membership programs vary in fee based upon an individual’s age, and include 24-hour direct access to our primary care physicians as well as complete healthcare coordination by our staff. 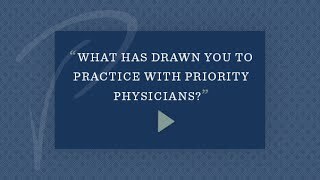 Without a doubt, Priority Physicians has changed my life. The depth, quality and personal care exhibited during my physical exams was incredible and led to a diagnosis and remedy in weeks. Since then, I have found the Priority Physicians staff to be committed to my health in a way I have never experienced before. I have gone from fear of seeing the doctor to embracing my new lease on life. Thank you Priority Physicians! 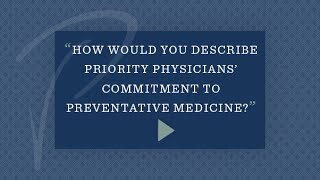 Priority Physicians has completely changed me and my family’s perspective about what to expect from our primary healthcare provider. I love the peace of mind that I’ve found as a result. I came to Priority Physicians with a number of complicated medical issues. They not only provided me with the highest level of medical care, but also provided the executive management of my overall care and significantly improved my health. 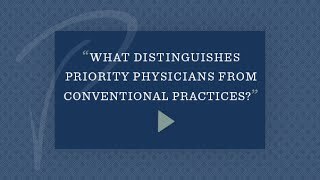 My wife and I have been with Priority Physicians for many years now, and our experience here has been absolutely incomparable with that of other medical practices. We’ll simply never be able to return to a conventional care model. 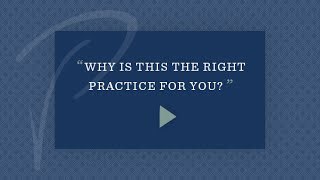 The practice is easy to access, delivers instant responses, and shows great follow-up. 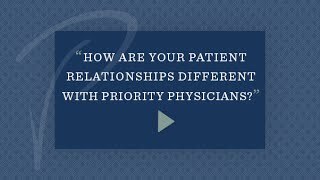 We also enjoy the personal relationships that we’ve built with our physicians. Because it’s so convenient and professional we have recommended it to many of our friends. I really appreciate the service we receive at Priority Physicians. The doctors and the staff get to know you and your needs and always treat your questions and concerns seriously. I can’t imagine going back to a traditional healthcare office. 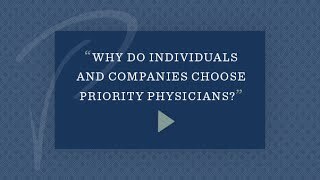 Priority Physicians is one of the BEST INVESTMENTS we’ve ever made. Priority Physicians of Indianapolis is located on the campus of St. Vincent Hospital at Entrance 6. We are at the corner of Naab Road and Katie Knox Drive with complimentary dedicated parking underground (turn right after entering parking garage). Priority Physicians of Fishers is located on the St. Vincent Fishers campus which is just off of Exit 210 on Interstate 69 at the intersection of Olio Road and Southeastern Parkway. There are Priority Physicians designated parking spots at the front of the Medical Office Building. Our offices are staffed Monday-Friday from 8am to 5pm, and a physician is on call 24 hours a day, 365 days a year to meet all of your primary healthcare needs.